Ever been on a constant look out for that elusive spot to park your car or the rising temper that accompanies when that spot is stolen from right under your nose? If you are hosting an event, then you wouldn't want your guests to experience such emotions. Parking a car is an experience and it's well shown by Gatsby Valet which is synonymous with style and luxury. When and how did the idea to start your business come about? I started Gatsby Valet Inc when I was 19 and have been a business owner for majority of my life. The idea to start the valet parking service in Toronto, happened after a short stint in the United States when we came across 'parking services', which was unavailable in our area. We wanted to develop this industry back home in Ontario. So we came back and enthusiastically set about to start this niche business. It was just the two of us initially and now there are 200 people working at Gatsby. What services do you offer at Gatsby and what makes it different from the rest? 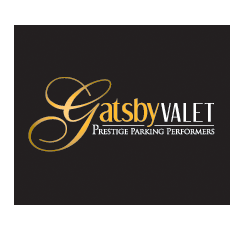 At Gatsby Valet, we offer premium valet parking service for events like weddings, corporate events, private functions, any kind of event where guests will be coming and parking of their vehicles will be required. What makes us different from the rest is the experience we offer to our customers. We show them that chivalry is still alive and give them luxury, charm and professionalism which all is a part of the Gatsby experience. Were there any risk factors to be considered before you ventured into this business? Damages.When you park a $ 100,000 car and you hit a pole, it can turn into a very expensive mistake and there's a lot of insurance involved. It's a lot of risk and exposure to liability. In our business, you are taking possession of a very expensive vehicle and if something were to happen, you are responsible. Our company is liable for each vehicle that we park. The more vehicles we have to manage during the event, the higher the risk. I would say, have a systematic approach to marketing, operations and invest in robust systems. We'd been systematic in the way we do things and have policies and procedures from the very beginning. Your mantra should be to act as if you are a big company right from the beginning, instead of trying to scale later on. In our case, we didn't have any clients but we had our systems in place even before we started getting any business. So focus on your systems. It definitely helps in scalability later on. What brought you to Zoho? I have been using Zoho Invoice and Zoho CRM for the past two years now. Prior to that, I had been using Salesforce and Freshbooks for my customer management and invoicing needs. What I liked best about Zoho Invoice is that, the invoicing software has all the essential features and is the best bang for the buck. I'm always trying to save money and Zoho Invoice is extremely cost effective for our business. Another thing I liked was the integration with Zoho CRM. It helps us a lot, as we do not have to enter the customer details twice. As an account manager, if you want to make a quick invoice, then you don't have to sign up for a big accounting program to make one invoice. It being a cloud based app is an added advantage as the data can be accessed just about from anywhere. We spoke for a few more minutes about how individual customer experience matters a lot at Gatsby and then some more on the parking services industry in Canada before winding up the conversation. Watch their valet parking video and read about their valet parking service in blog to know more about Gatsby Valet.